One of the most difficult, if not the most difficult, thing for businesses to do is to keep their sales pipeline full of viable opportunities. Ask yourself this one question; when you needed a product or service last, where did you look to find this provider? According to most research, 84 percent of people go to Google or other search engines to find products or services in their local area. When asking our customers, you might be shocked to hear, that 63 percent of them search two times per month on average for a product or service in their local area. More importantly, how many of those people searching based their buying decision off of the results, they find from the search engines? Can we agree that having your company’s website come up on the first page when someone searches for the products or services that you provide would of value? In sales, a closed-ended question is considered ineffective, but in this case, we think it is so obvious that an exception can be made. Search Engine Optimization is the one marketing/advertising campaign that works. No more one percent return promises that never come true; our customers experience an 8 to 14 percent conversion from their websites once on the first page. Meaning that if their site has 100 new organic first-time visitors, they receive 8 to 14 phone calls or email inquiries per month from that traffic. We have developed a way to measure those conversion to help show value to our clients as we know that what we do is very technical and not visible to our clients in any other way than to show results. How beneficial would it be to see results from your hard-earned money spent on advertising month in and month out? 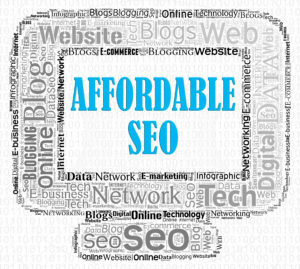 We will provide you with a no-obligation free proposal to do your SEO. Our company will never ask our clients to pay us 12 months up front. We do not lock our clients into a 12, 24, or 36-month contract. Our services are month to month so if we are not successful, fire us. Call or email us today for your free evaluation.